Holidays mean food. Holiday Pie Mania, a pre-Thanksgiving event is held on a November Saturday afternoon at Builders Source Appliance Gallery, is a benefit for The Food Depot, Santa Fe's local food bank. The event offers a great way to secure your holiday pies in advance. Each participating chef makes his or her signature pie for the crowd to sample. Past pies have ranged from variations on pecan and pumpkin to those with New Mexico green chile to chocolate confections and beyond. You never know what these creative bakers will come up with and that's half the fun. The highlight of the afternoon is the pie auction. The gathered pie-eaters get into the spirit so bidding can be brisk, but it's for a good cause. 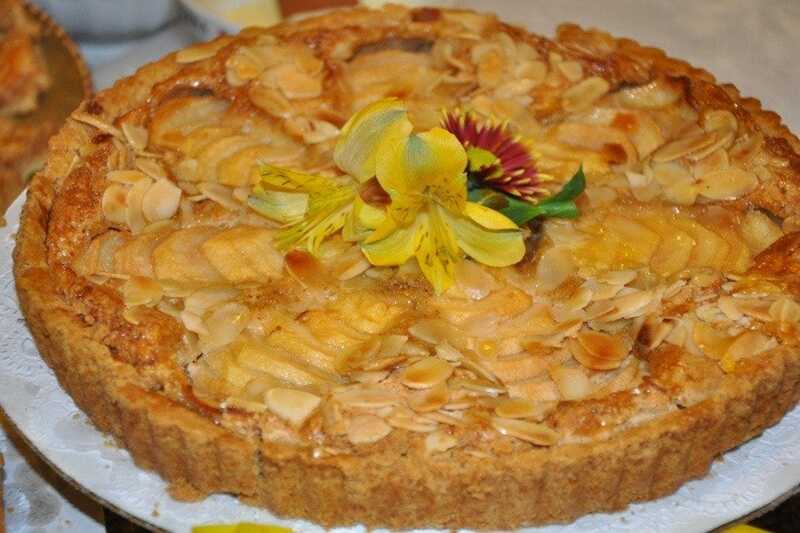 Each chef produces one pie that is sold on the spot and two that the winners can order for the holidays. 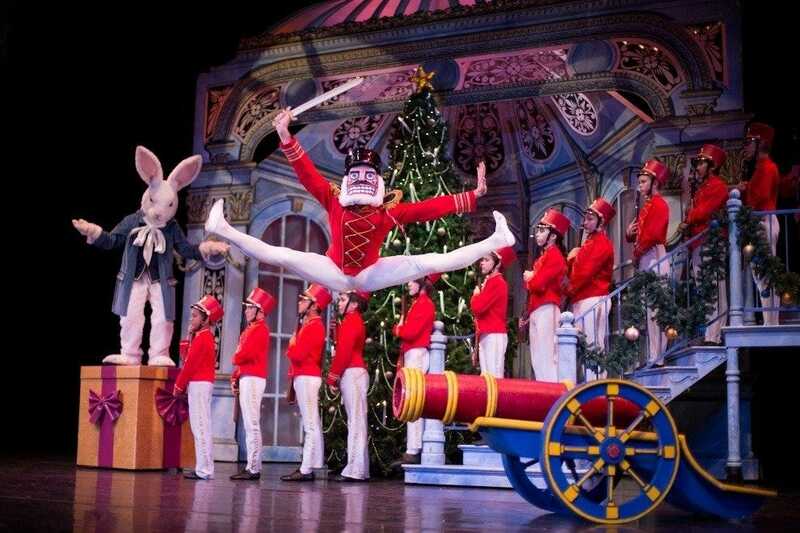 One December weekend each year, the Aspen Santa Fe Ballet performs Tchaikovsky's popular Christmas ballet, "The Nutcracker". Join Clara and the Nutcracker Prince as they journey to the magical Land of Snow and Land of Sweets where they're greeted by the beautiful Sugar Plum Fairy and many others including the Russian, Spanish and Arabian dancers. The mostly traditional production takes an unexpected turn in the second act with the addition of circus performers including an aerialist, to the mix. The entire ballet is enchanting, but this unexpected twist mesmerizes the audience, largely made up of children who sit entranced in their seats through the entire performance. Another whimsical touch: over 10 pounds of confetti is strewn around the stage during the show. The small company expands for this special production which includes 70 children and 60 professional dancers. Past guest artists have come from as far away as Russia and China. 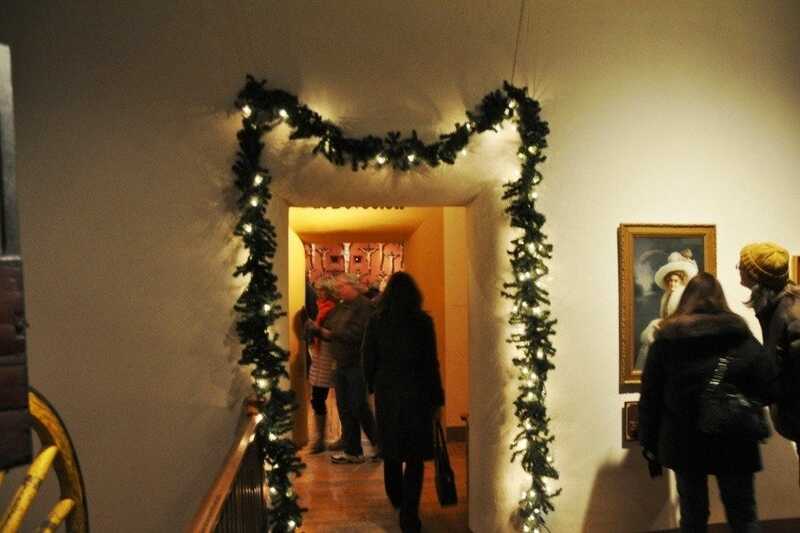 The Annual Christmas Open House at the New Mexico Art Museum, started in 1983, is a favorite with children of all ages. 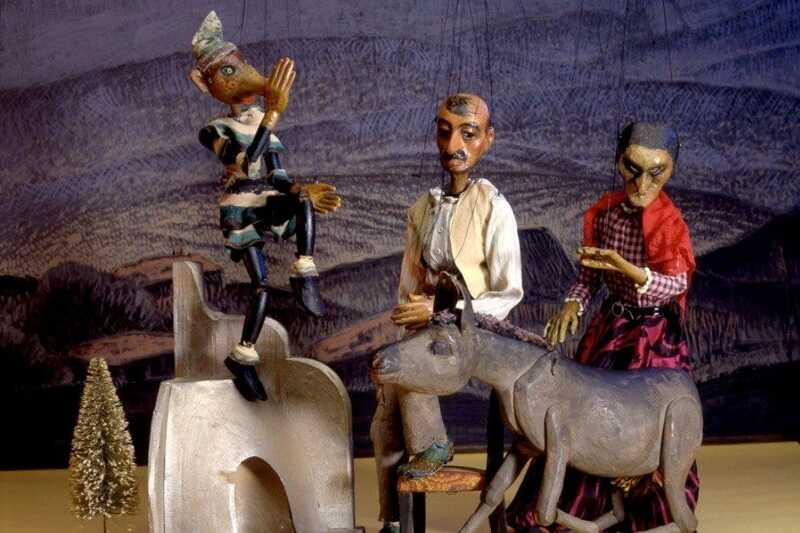 The highlight of the afternoon is the wonderful, whimsical Baumann Marionettes, made by renowned woodblock artist Gustav Baumann for his daughter in the 1930s. They come out of storage every year for this holiday event. The whimsical puppets perform two plays for children. There's also a treasure hunt to find Freckles and his twin brother hiding somewhere in the museum galleries. The highlight of the afternoon comes with a twist: kids can have a photo taken of Santa in their lap. Create your own puppet, sing Christmas carols and enjoy holiday refreshments. 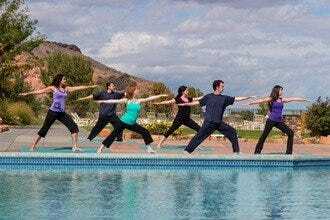 The event, held on a December Sunday, runs from 1 to 4pm. 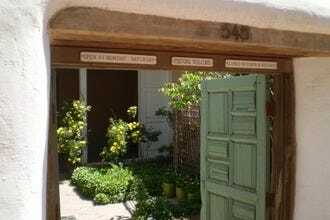 While there visit the galleries; the museum has a great collection of New Mexican art. 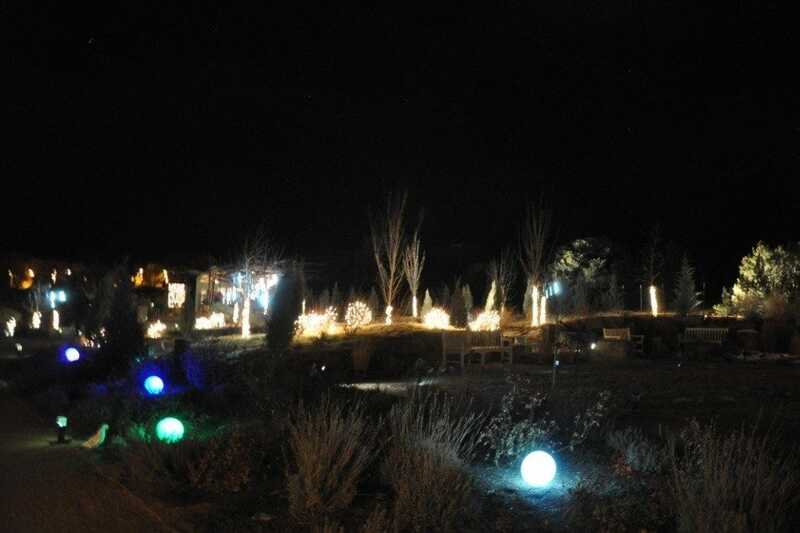 GLOW-- A Winter Holiday Lights Event takes place at the Santa Fe Botanical Garden up on the city's Museum Hill. This festival of lights runs Thursdays, Fridays and Saturdays from the first Thursday in December to the Saturday following New Year's Day from 5 to 8pm. The Garden becomes a winter wonderland lit by thousands of lights, including LED, floodlights, kinetic lights that move rhythmically and fairy lights in plants and trees. Saturday nights bring bracing hot toddies to ward off the cold. Santa will be in attendance and there will be live music. 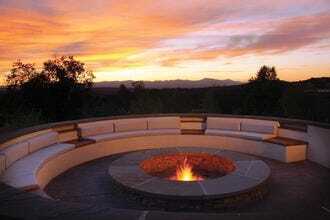 Arrive right at opening and watch the spectacular high desert sunset that's been drawing artists and others to Santa Fe for over 100 years. The transition from day to night will enhance your experience. If you're lucky, it might snow, making your evening even more magical. There is an admission charge. The annual Christmas at the Palace, held at the Palace of the Governors (the oldest government building in continuous use in the USA), is a popular event for locals. Started in 1985, it's always on the Friday before Las Posadas. Santa Feans fill the over historic building and its courtyard, greeting friends as they go. It's a great event for tourists, too. 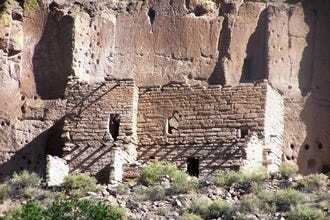 The Palace, now part of the New Mexico History Museum, lights up for the occasion. 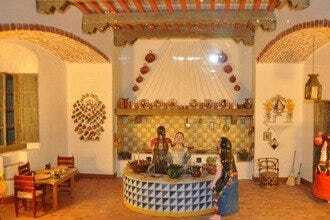 Walk through the rooms, look at the exhibitions which include Spanish Colonial Art and listen to live music played by both children's and professional groups. Head for the courtyard, lit by luminarias and farolitos, for hot drinks, biscochitos (the official New Mexico State Cookie) and of course, Santa Claus (and Mrs. Claus). You'll even find seasonally-themed piñatas hanging, befitting the city's Mexican heritage. This event is a sure winner for the entire family. 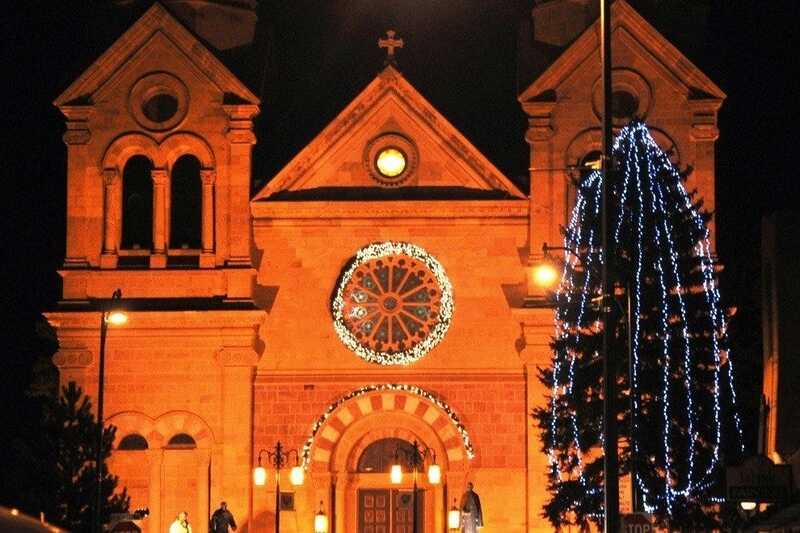 Christmas in Santa Fe is enchanting. There's something very special about this historic city when it's aglow with fairy lights and electric farolitos. If it snows, this magical winter wonderland is complete. No place is more special this time of year than the historic Plaza, home of the city's official Christmas trees. The park's evergreens in the small park are festooned with colored lights and there are a lot of them. 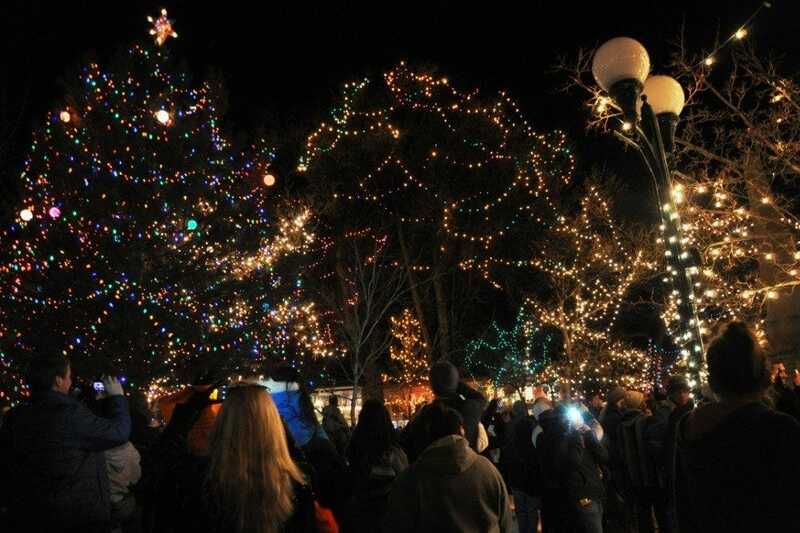 The official Christmas tree lighting takes place on the night after Thanksgiving. 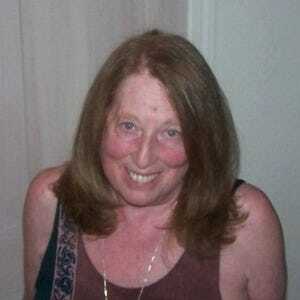 It's done with a lot of fanfare. Arrive early; pre-glow entertainment starts at 3pm and Santa arrives via vintage fire truck at 4. When darkness falls the switch is thrown, and viola, the square is transformed. There's also a menorah lighting ceremony on the first night of Chanukah. Candles burn in the contemporary menorah for the holiday's eight nights. The lights stay up until New Year's Day. 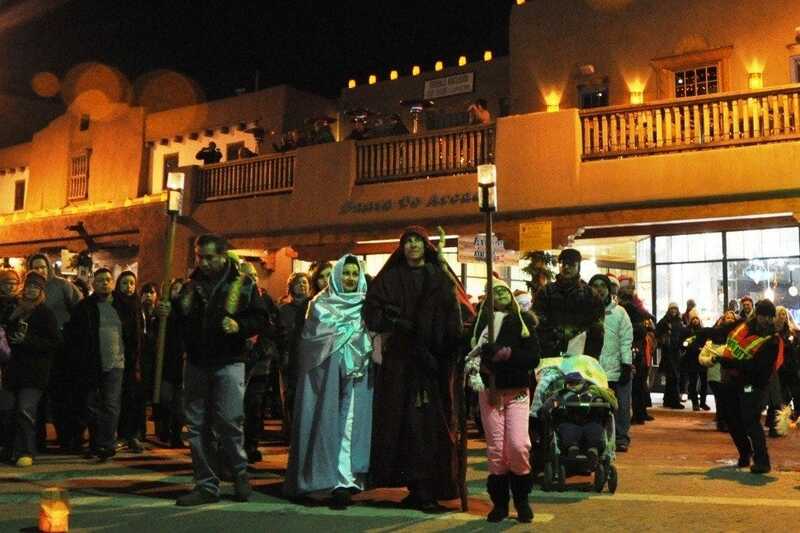 Las Posadas, a candlelight procession usually held in mid-December, is an important Christmas event in Santa Fe. It's the reenactment of Joseph and Mary's search for a room at an inn in Bethlehem. 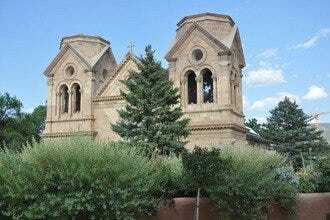 The procession begins at the historic Palace of the Governors (the oldest government building in the United States still in use) and wends its way around the Plaza, picking up people along the way. The holy couple stops at an "inn" and all of a sudden the devil pops out of the darkness in a flash of light. He gestures menacingly at the couple and their followers while screaming at them in 16th century Spanish. The crowd boos. This is done three more times (once at each side of the Plaza). The walk culminates in the Palace's courtyard where hot cider and biscochitos (the New Mexico State Cookie) are served to the chilled crowd. 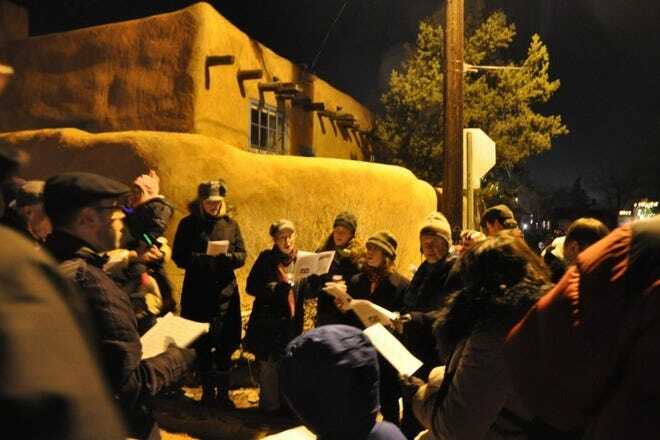 Christmas Eve in Santa Fe is unlike any other in the world. It seems like the entire city turns out for the annual Canyon Road Farolito Walk. The street (and adjacent ones) is closed and people take to the middle of the street. Farolitos (traditionally small paper bags filled with sand topped with a votive candle) line walkways and adobe walls. Some housetops, walks and walls boast "fauxlitos," the name locals have given to the electrified models. Luminarias (small piñon wood bonfires) are spaced randomly along the street. The festivities start at dusk (around 5pm) and run until around 10pm (depending on and how late the crowd stays). 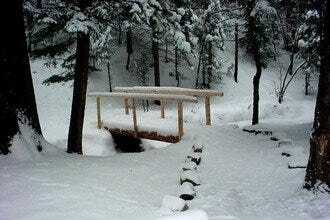 Some places offer hot cider or hot chocolate to warm cold bodies. People spontaneously break into Christmas carols along the way. The atmosphere is festive and full of good holiday cheer.